When emergencies strike, you can count on Power Finance Texas for fast cash through a secure installment loan. We understand that you don’t always have time for a long application with a lengthy approval process. At our El Paso (Cielo Vista) office, our customers are often approved in minutes, and the money is in their account the next business day. Our Cielo Vista area location is between McRae Blvd and Viscount. Come in and fill out an application at our El Paso Cielo Vista office. Our office is between McRae Blvd and Viscount off of I-10. We’re close to the Toys “R” Us and the Hobby Lobby. 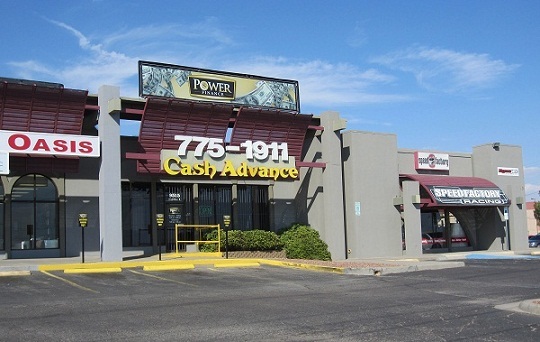 To qualify for our installment loans & cash advances in El Paso, TX, you must meet a few, simple requirements. Employment: We require applicants to hold a job at which they have worked for at least 3 months. Income: Online applicants must make at least $1000 a month, and in-store applicants must make at least $800 a month. Applicants will qualify for loan amounts ranging from $100 to $1,250 based on income. Direct deposit paychecks are not required. Bank account: Applicants must have a bank account with an active checking account that has been open for a minimum of 30 days. Communication: Applicants must have a home or cell phone. Customers can fill out our application online or in-store. Please have your checkbook, your Texas driver’s license or state ID, your most recent bank statement, and a check stub that includes year-to-date information available.